Electric Avenue was the first shopping street in Britain to be lit by electric light in 1888 when it became known as ‘the Oxford Street of the south." 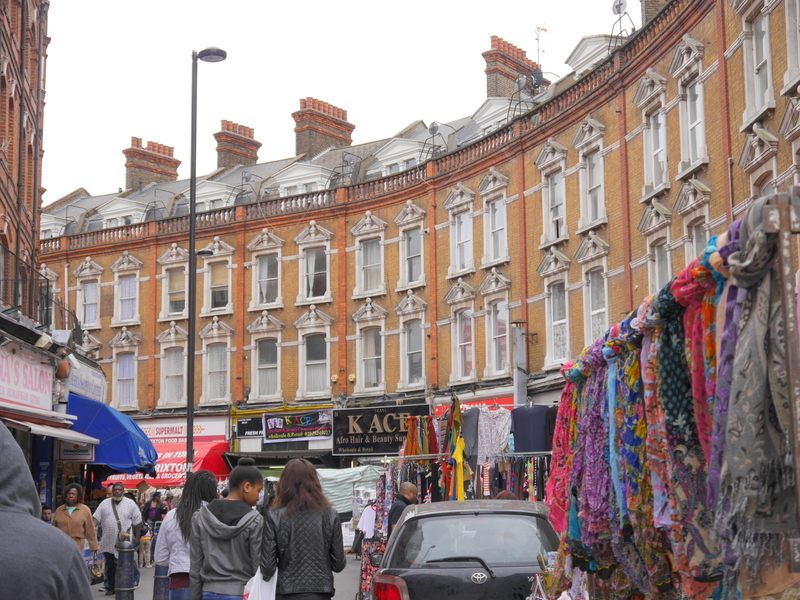 The area has a rich history and since the 1870s has been a community hub, a place of unique architecture, and a diverse market selling a wide variety of goods representing the cultural mix of Brixton. Lambeth Council has commissioned Repowering London to undertake a feasibility study to investigate bringing solar energy to Electric Avenue and the Brixton Market area. Lambeth Council has secured funding from the Heritage Lottery Fund as part of the Townscape Heritage Initiative. To pledge your support for this project, and keep up to date with project news and investment opportunities please click here. For more information about the Brixton Heritage Regeneration Partnership click here. just attended the launch of the fantastic banister house solar project. it was extremely moving to hear their experiences of that project from members of the community. much more of this, please! Would like to discuss if you have any plan to engage energy consumers to save energy? Loved the speech at the climate change rally on 29/11. Sounds like an interesting organisation! I just attended the launch of the fantastic banister house solar project. it was extremely moving to hear their experiences of that project from members of the community. much more of this, please! Are there any new schemes in the pipeline? I love both community projects and environmental projects. This is perfect, get off the grid, get free from big business. Love the project. Am interested in investing and learning more about further implementation. Fully support any community renewable energy scheme and projects that work towards improved sustainability. This sounds like an excellent initiative. Looking forward to getting involved. Self sufficient energy communities is the way forward. Depending on the business plan, local support and rates of return I would be interested in inventing, I have already invented in other renewable energy projects and it comes down to which has the best plan and the best rates. it is so great what you do. The world must do this! An imaginative project - very exciting. What a wonderful initiative. Would be proud to help support it. Good luck team! Energy is the crop of the future and you're we're the first pioneering farmers. Here's to a clean green energy future! I'm not sure if I've already been in touch, if so, I'm still interested in the project; if not, I'd like to know more. Sounds like a good project, as long as feed in tariffs are guaranteed for the life of the investment. Also, the cost of solar panels keeps falling. Looks like community-owned renewable energy is the only way that decentralisation and decarbonisation of energy supply in UK will be achieved if the Black Six utilities do not Switch Off Fossil Fuels.